Great Carabiners! Love the colors (not important) but it's the minor details. I bought these to replace the ones that came with my camp hammock which were of poor quality, but these are excellent. The product I received was every thing I expected. Very well made and in several colors. 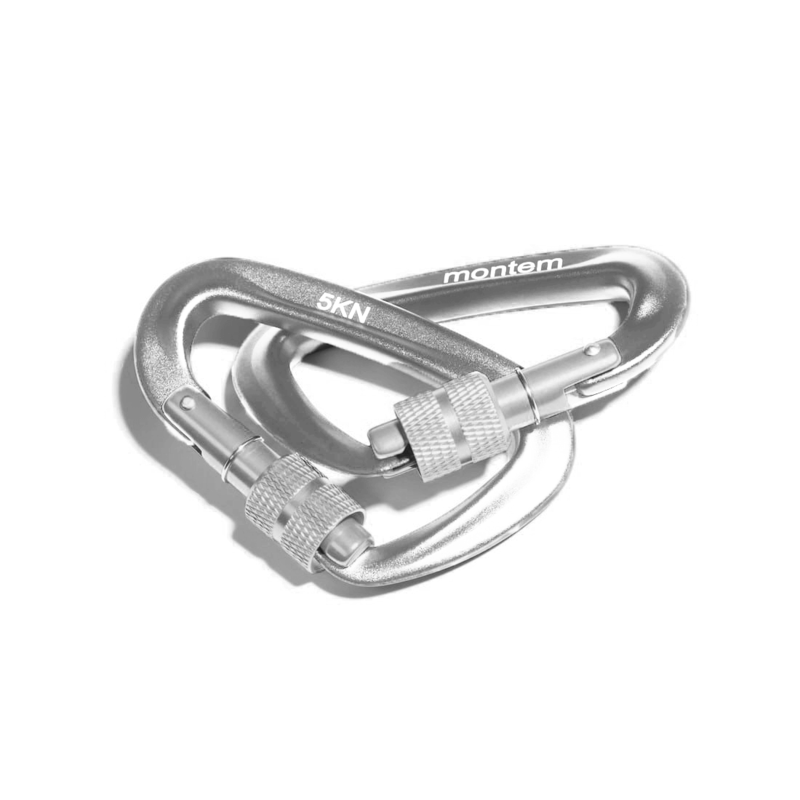 Extremely light weight large enough to put hammock fabric on without snagging and yet small enough not to be overkill like the larger carabiners. I use them as quick attachment change out of side handles straps of a yoga hammock to other flexible workout straps or arrangements as needed. Would recommend. Fast shipping. Works great, looks great, especially the screwing mechanism. Haven't tested its full strength yet, but I'll update if I do run into any problems. Feels very strong and sturdy to me. 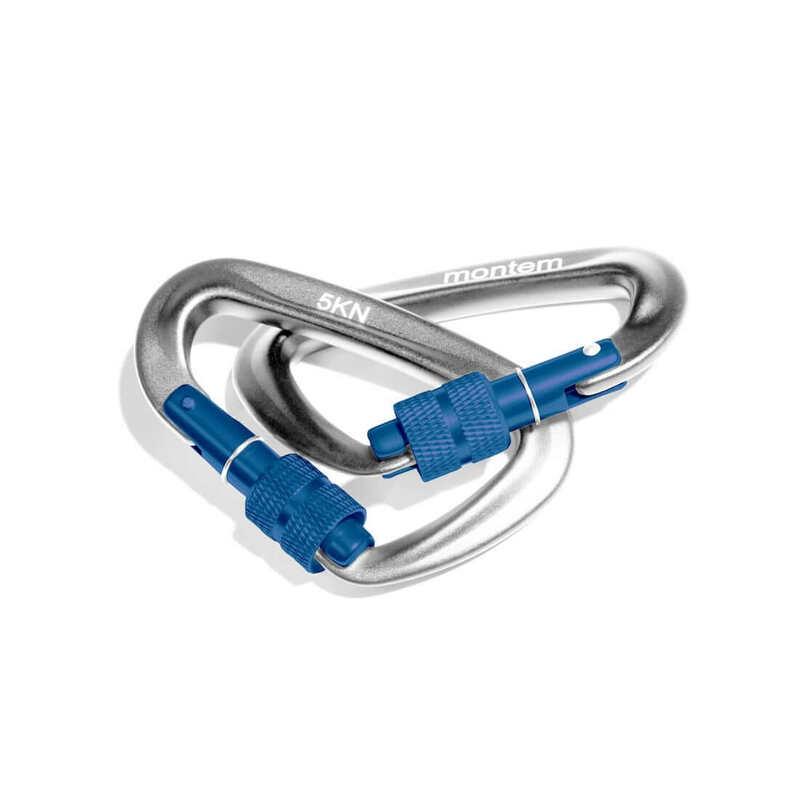 I like the locking mechanism, much sturdier thn other carabiners I've used. This is a good buy. 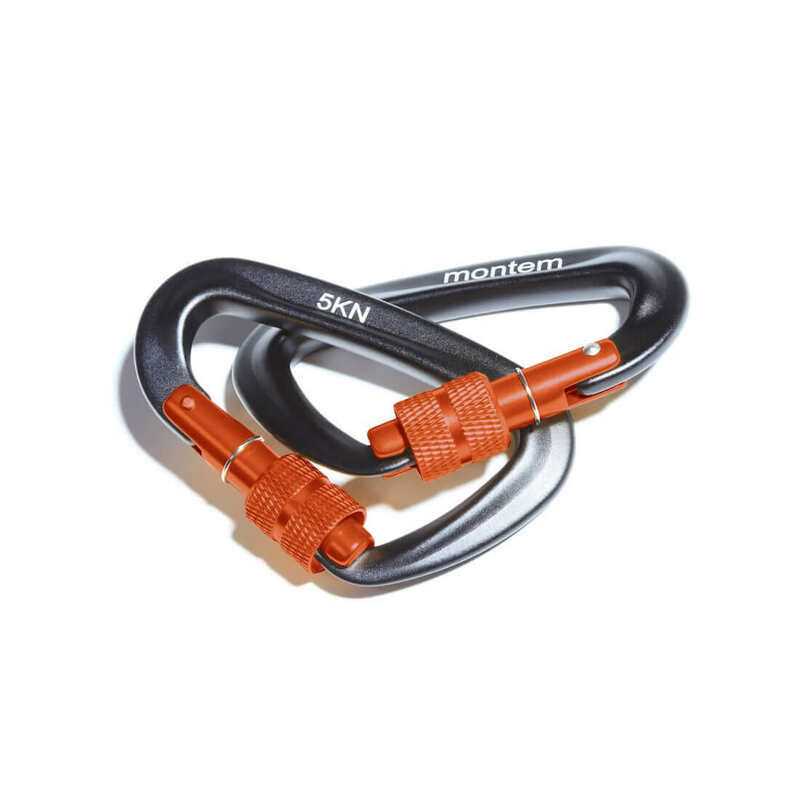 You can use it to hang gear on your backpack loops. It is also good for hanging a hammock.